Marketers are quick to recognise the opportunities presented by new consumer facing products, resources, and technology. For them, whatever product they are currently promoting is always the right product, so they are always looking, instead, for ways in which to match it to the right consumer, in the right place, and at the right time. From the early days of newspapers, magazines, and other publications, through to radio, television, sporting events, and more recently, the internet. This isn’t to say they fully embraced each of these marketing avenues from the very beginning, just that they had no difficulty doing so once they were able to identify potential opportunities in each. And mobile marketing is no different: it took eight years from the introduction of text messaging before the first ad was shared via SMS, but only two years from that first ad to SMS becoming mass media. But mobile technology has also advanced at a very rapid pace, making it important for marketers to not only embrace mobile marketing, but also to closely monitor new developments and shifting trends, so that their mobile marketing strategy can be adapted accordingly. 1 What is Mobile Marketing? 3 Why is Mobile Marketing Important? Mobile marketing is a marketing approach that sees brands and businesses using a variety of techniques to promote their business, brand, product, or service directly to mobile users. In the early days of mobile devices, mobile marketing was limited to SMS, and later MMS. But as the technology has developed, and the reach and use of mobile phones has grown, this has expanded to include email, mobile websites, voice-calls, and more recently, mobile apps – with or without push notifications – social media, and chat apps. And while the first SMS ad was sent back in 2000, many of the newer strategies are less than a decade old, highlighting how quickly the technology is evolving. We have also shifted from using mobile phones with a limited set of features, to using smartphones that themselves are capable of more with each update, now also complemented by the addition of tablet devices, and smart watches. Analytics is obviously the most important tool here, but there is also value for small business owners in Optimize, Surveys, and Tag Manager. At the very least you are going to be using Analytics to understand who your customers are, where they are, what they are doing on your website, and what device they are using to access your website. Google rebranded AdWords to Google Ads in 2018; the same powerful tool that simplifies the entire process of creating online advertising campaigns, just with a new name. With Google Ads you are able to set up ad campaigns, create the ads, control your ad spend, and view the results of any or all of your campaigns. And with Google Ads, you don’t only get to advertise your business in search results, you can also create campaigns that run across all of Google’s other properties – including YouTube, Google Maps, and Google Play – and are displayed on Google partner sites, and in mobile apps that support in-app advertising. It’s a single solution that gives you an incredibly wide reach. As great as Google Analytics is, especially as a business is just beginning to measure, understand, and act on a variety of customer centric metrics, there will come a time when your business needs more insight into customer behaviour. 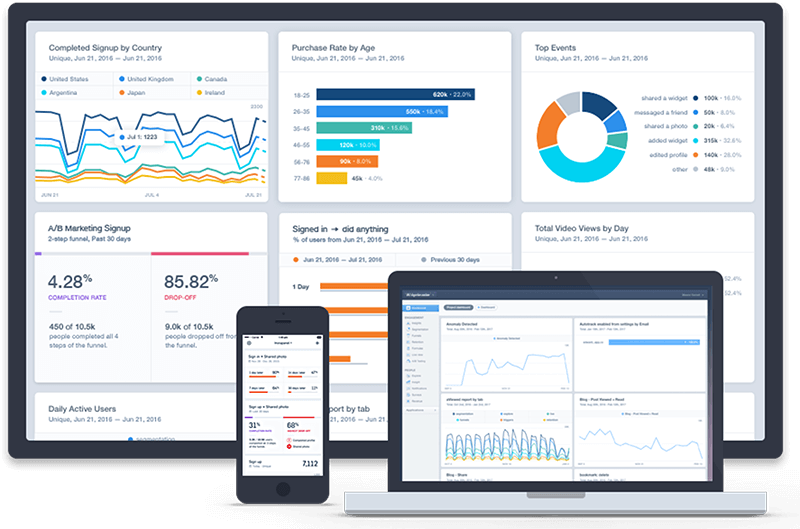 Mixpanel is a step up from Google Analytics, offering advanced analytics into user interaction with websites and mobile apps, and offering businesses better ways in which to engage with them. These include more advanced methods of segmenting users, and tracking conversions. With Mixpanel you aren’t only learning what works on your site or in your mobile app, but you are able to use these insights to improve your site, mobile app, and your mobile marketing strategy. As the name suggests, Localytics is – at its core – also about analytics, but exclusively focused on rich analytics and insights into mobile app performance. If your business has a mobile app, they should also be using Localytics to discover everything from how users behave in your app, where they are coming from, where in your app they stall or stop using it, and even when users uninstall your app. More than this, you are also able to perform multiple split tests to identify which in-app marketing messages drive better results, along with actually managing in-app marketing, from remarketing through targeted ads, to push notifications, and the use of geofencing to reach customers with highly focused messages when they are close to your location, or that of a competitor. 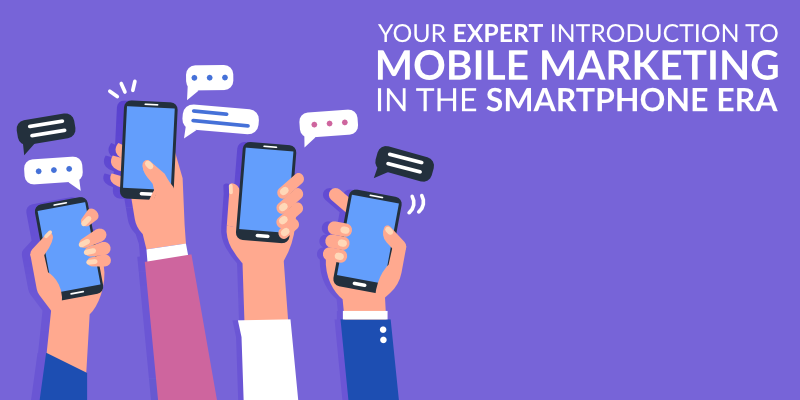 If you don’t have a mobile app for your business yet or want to be able to reach customers who don’t have the app installed, traditional SMS marketing is still capable of delivering great results. With BulkSMS you don’t need to resort to using different tools to send text messages to customers in different countries, the service is supported by more than 800 mobile networks in 200+ countries. Although you don’t get to know much more than whether or not your message was delivered, you are able to personalise each message, schedule them, and recipients can also respond to your messages. Adobe Spark is a family of products that make it easier for businesses to create stunning graphics, web stories, and video stories. You can create flyers, graphics for your website or for use in social media posts, along with a number of other different uses. With a paid account you can easily add your own branding, including colour palette, to each image and/or story, and have access to your own personal library of visual content across desktop and mobile devices. It doesn’t replace the need for a professional designer for some projects, but it can make it much easier for businesses, especially small to medium businesses, to create some visual content independently, and without the need for a supersized marketing budget. Buffer has been a long-time favourite for marketers who want to save time by scheduling social media posts in advance. With support for Facebook, Twitter, LinkedIn, Google+, and Instagram, you’re covered for all the top social media platforms. The free plan does limit users to connecting only three accounts and scheduling up to 10 posts in advance, but with a paid account you can connect up to 150 different accounts, and schedule up to 2,000 posts. 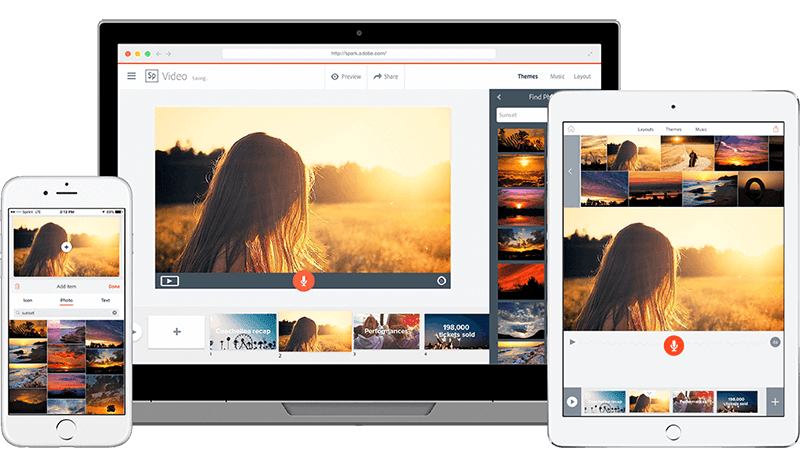 Buffer has their own image creation tool – Pablo – which is included with all plans, along with a video and GIF uploader. Scheduling posts in advance is a great time saver, but does require careful coordination to ensure the content is scheduled for the right time, and the right day – you’re unlikely to want to post a Christmas offer in March. Like Buffer, Edgar allows you to schedule social media posts in advance. The difference is that Edgar automates the process somewhat: you add content to your library, and Edgar auto-schedules when the content will be published on each platform. And each bit of content can be posted multiple times. You do have some control over how often each bit of content is shared, including setting expiration dates for some content, but Edgar can take care of the rest. However, Edgar currently only supports Twitter, Facebook, and LinkedIn; support for Instagram and Pinterest is not yet available. Edgar also only has a single paid plan, but it does give users access to all features and tools. Planoly is also a post scheduling tool, but one that is focused exclusively on Instagram. With any social media marketing, not just mobile, it is important to be visible and active on the platforms your customers use. And for many businesses, especially fashion and apparel retailers, the top platform is Instagram. With Planoly you aren’t only able to schedule your posts in advance, you’re also able to see and respond to user comments, discover and share user-generated content, and obviously access analytics for all of your Instagram posts. 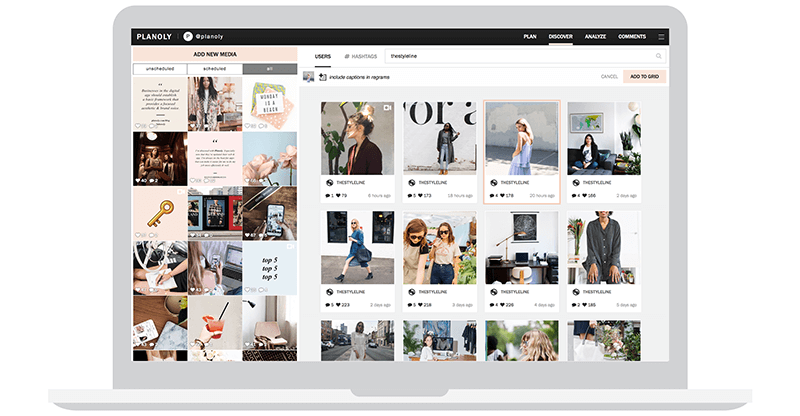 However, Planoly also gives retailers access to Shoplink, an integrated tool that allows businesses to tag products to create a shoppable gallery from their Instagram posts. If a user clicks on the link in your Instagram profile, they are directed to a gallery/store featuring any products you have previously tagged in any Instagram posts. There they can get more information and – more importantly – buy any of the products they are interested in. The potential is for you to generate higher conversions from your Instagram posts, without customers having to first search through your online store for something they saw on Instagram. The second edition of Deloitte’s global mobile consumer trends survey in 2017 is our most recent insight into mobile consumer behaviour. The survey was compiled using responses from 53,000 people across 31 countries and five continents. 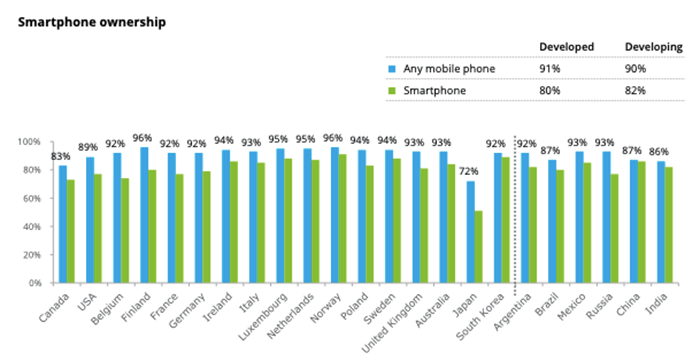 Unsurprisingly, the survey found that more than 90 percent of the survey participants report owning a mobile phone, with more than 80 percent owning a smartphone. Mobile marketing isn’t limited to smartphone users, but smartphones give businesses more channels and opportunities for mobile marketing than feature phones. The same survey reveals that more than a third of consumers use their mobile phones within five minutes of waking up, and nearly half of them use their mobile phones for one reason or another at night. Of course, this is not permission for you to send them mobile marketing messages at any time but serves to illustrate just how important mobile phones have become to consumers. And while it would be expected that most mobile phone owners use or check their phone at least once every day, more than 20 percent of users admit to using their mobile phone 50 or more times a day – roughly once every 20 minutes. If we bounce back to our desire to reach the right consumer, in the right place, and at the right time, no other marketing platform comes close to competing with mobile phones. More than 20 years have passed since the first text message was sent, and 18 years since the first use of text messaging for marketing purposes. But while many new channels for mobile marketing have emerged in that time, text messaging remains popular. An informal survey by Esendex at the start of 2018 found that more than 70 percent of respondents claim to read every text message they receive, with the highest rate in most countries being among users aged 18 to 34 years old. 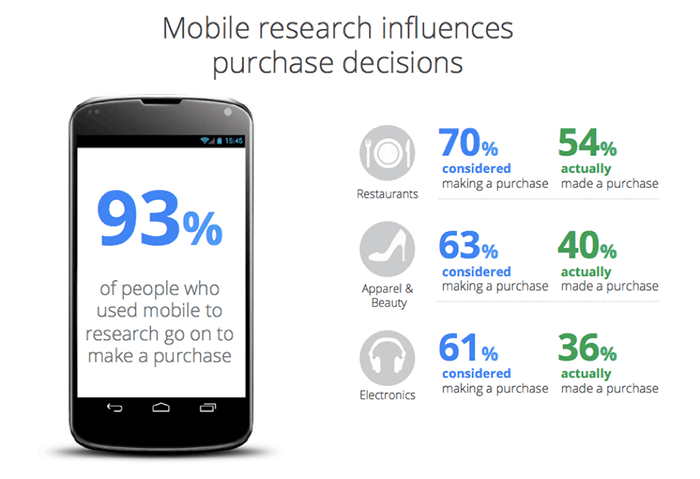 Most consumers start researching new products or services on a smartphone, using a search engine such as Google. They spend more than 15-hours a week researching on their phones, and visit mobile websites up to six times on average. Almost three-quarters of mobile phone users searching for a business or service on their phone expect the business to be within five miles of their current location. More than half of these customers want to make a purchase within an hour of researching products and services on their phones. More than 90 percent of people who research a product or service on their phones go on to complete a purchase, with most of these transactions happening in a physical store. Where each persona typically gets information from: how they research products and services, and how they use this to make purchasing decisions, and how they actually make the purchase, i.e. is it in-store, via e-commerce websites, or via mobile apps. The channels you use to distribute the content, along with the tone of the content. How you share content and marketing messages via a mobile app – and push notifications – will be quite different to doing it via text messaging, or even through social media, email messages, and your website. You need to retain existing customers by improving your relationship with them, and strengthening the reason(s) for them to keep supporting you. It is the smaller goals that you will link to your mobile marketing efforts, since by achieving them you will be closer to achieving your primary goals. And by linking your mobile marketing efforts to smaller goals, you are also in a better position to measure the success of them, and their influence on your primary goals. Your goal for mobile marketing can’t be to grow sales by X percent since sales performance is influenced by many different factors in your business and the markets you operate in, making it almost impossible to attribute any overall sales growth to mobile marketing exclusively. Do you have a responsive website, and is it properly optimised to boost engagement with customers on mobile? If you already use email marketing, are you outgoing messages optimised for displaying mobile devices? Many mobile users view emails on their mobile device exclusively, even if they have regular access to a desktop device. Do you have a mobile app? Are you promoting it properly, and do you have a push notification strategy in place for your mobile app? 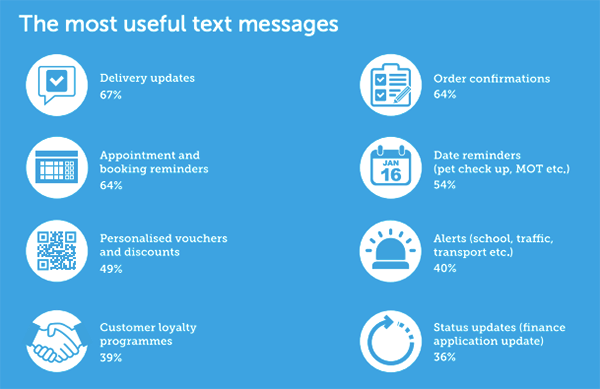 Are you currently sending out any text messages to your existing customer database? Now, for each mobile marketing activity you already have in place, consider how well it is performing – is it achieving the results you wanted, and if so, are there opportunities to improve it? Don’t implement new mobile marketing activities and goals if the ones you already have in place aren’t performing as well as they should. Instead focus first on establishing if they are the right activities and goals for your business and audience, and then working on them so that they do deliver the results you want. Cost Per Install (CPI) or Cost Per Acquisition (CPA) – CPI is obviously reserved only for businesses with a mobile app and looks at the costs associated with getting users to install the app – primarily ad related. CPA is better for measuring the performance of your other advertising campaigns that are meant to drive visitors to specific areas of your site, and perform specific actions: email marketing, drip campaigns, registering for an account, or even making a purchase. Both KPIs are about measuring the cost of acquiring users and/or customers. Open, click-through, and conversion rates – measured specifically in relation to SMS and email marketing. Delivery rate is also important, but once that has been assessed, you need to look at how many people who actually received your marketing messages opened them, how many followed any of the links in the message, and finally, how many converted as a result of the message. For advertising campaigns, you would look at click-through and conversion rates, where conversion would either be a user converting to a lead (signing up for email marketing, etc.) or to a customer (buying a product or service offered by you). But don’t just record the numbers associated with each of the above rates; try to understand the “why” – why did more (or fewer) people open, click-through, and/or convert. This will help you identify subject line, messages and offers that perform better than others. Retention percentage and Daily/Monthly Active Users (DAU or MAU) – retention percentage applies to SMS and email marketing, and to mobile apps and looks at how many users opt-out, unsubscribe, or uninstall. DAU and MAU is less interested in how many users uninstall your app, and instead looks at how many of them use your app daily or monthly. The retention percentage for your app might be high, but it doesn’t mean too much if the customers who have your app installed aren’t using it regularly. Revenue – specifically what impact are your mobile marketing activities having on overall revenue. These are just the most obvious KPIs you should be monitoring, but you would need to research other mobile marketing KPIs to identify other metrics you believe you should be monitoring, which will vary according to your industry, and the mobile marketing activities you are using. Once you have researched your audience, established the mobile marketing activities you are going to focus on, established goals for each of the mobile marketing channels or activities you are going to follow, and decided on the KPIs you are going to use for each, you need to finally implement your strategy, measure its impact on your business, and continuously optimise it. You optimise based on your KPIs and your goals – any poor KPIs need to be broken down to understand why performance is lacking, which then allows you to adjust the parts of your strategy that influence that KPI. It’s not enough to simply say that SMS or email marketing is not working and to then drop this activity from your strategy, especially if your customer research suggested this is what most of your customers would respond to. Have you tried different subject lines and messages? Is your message – and email – optimised for mobile, and is it going out at the right time? Are the offers in your message compelling? Have you tried A/B testing, with two or three different messages and/or offers being sent to different sets of customers, and your future messages being adjusted according to which test performed better? Your strategy should be a living document that is regularly updated and adapted according to what works best for your specific industry and audience. 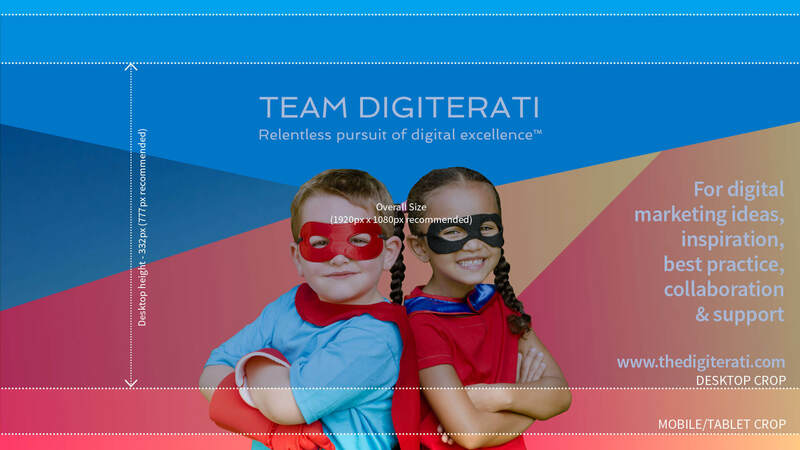 The concept of responsive design for websites was first introduced in 2010, yet despite even Google heavily promoting responsive design – and later a mobile-first approach to website development – you still find websites that look terrible on mobile. And we’re not talking about personal websites but business websites, linked either to brand awareness or brand loyalty. It is highly unlikely that any business has more website visitors using desktop browsers than mobile browsers, and by having a website that doesn’t look good on mobile devices you are effectively shutting out more than half of your customers – both new and existing. Google has previously stated that 61 percent of users are unlikely to return to a mobile site they had trouble accessing, with 40 percent most likely to visit a competitor’s site instead. More than half won’t recommend a business if it has a poorly designed mobile site. But it is no longer about having a responsive or mobile-friendly website; if you send out emails to your customers, these too need to be optimised for mobile, with Fluent’s annual Inbox Report revealing that 75 percent of consumers report using their smartphones to check email most frequently, with three in five consumers checking their email on the go. The use of images and videos that fluidly adapt to screen size, including when viewed in portrait and landscape mode. Ensuring your website loads fast, especially on mobile devices. Page speed is a ranking signal for Google, but users also give up easily on sites that take longer than 3 seconds to load. 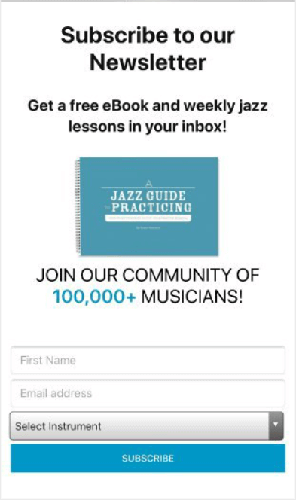 Don’t ignore landing pages. It’s quite easy to make the mistake of creating a website that looks great on mobile devices, but then creating special landing pages that only look good on desktop devices. Avoiding image-only emails. Many email clients block images by default, but users could also activate this feature in order to limit data usage, meaning image-only emails show up blank, and with no benefit to you. The same applies to images used in conjunction with text in an email: limit these to only adding visual interest, rather than conveying important information such as special offers, and if you can’t then make sure you include descriptive alt text that is displayed when the image doesn’t load. The top three browsers globally are Chrome, Safari, and UC Browser, but this changes once you look at domestic markets. However, it still means only having to consider a few browsers when it comes to testing out how your website looks, with many of them following the same approach to the implementation of web standards. The same cannot be said for email clients, so try using a service like Email on Acid to test how your email messages are displayed on more than 70 clients and a number of different devices. It doesn’t need to be perfect and identical, but it also shouldn’t completely fall apart in different email clients. Don’t forget about social media when it comes to images and videos being optimised for mobile. The same caveat of a mobile-first approach applies, with images and videos sized according to each platform’s guidelines for mobile usually resulting in images and videos that still look good on desktop devices. Facebook currently crops cover photos instead of scaling them according to the device. This can result in any text you include in your cover photo from not being visible on mobile devices, unless you position the text correctly. Don’t get confused by reports that show higher add-to-cart rates or conversion rates happening on desktop devices than on mobile devices. For many users searching for a brand, product, or service begins on a mobile device, with them switching to a larger screen to make the conversion or purchase. This in no way dilutes the importance of mobile, or a mobile-first approach. You may have also heard of Accelerated Mobile Pages (AMP) and be wondering if you can’t use AMP instead of have a responsive website, with the simple answer being “no”. While they use similar web technologies, they also serve very different purposes, with responsive design making your website accessible and functional regardless of the device used to access it. Accelerated Mobile Pages are stripped down versions of your website pages that are optimised for speed and mobile devices, and while in theory they could be used for an entire website, the primary purpose is meant to make some of your content available more quickly on mobile devices. In other words, AMP is meant to complement your mobile marketing strategy and responsive website, not replace it. AMP works best for content heavy websites, and e-commerce sites that aren’t supported by a mobile app or Progressive Web App, with some challenges resulting from a need to implement additional technologies in order to still get accurate metrics from Google Analytics. While speed is important, a properly developed responsive website can still be fast without having to depend on the use of AMP, with Progressive Web Apps also offering a faster experience, with an arguably better user experience than AMP. Make sure the best content – and the CTA – appear above the fold. You can still have additional content that users’ need to scroll to see, but users shouldn’t be forced to scroll to see the most important content, or your CTA. If you have to use a volume of content that requires scrolling to see, structure it in such a way that it builds a story and encourages users to scroll. But consider using a sticky header and CTA that is always visible at the top of the screen, even when scrolling. That way users can still select the CTA whenever they are ready, without having to scroll back to the top or bottom of the page. Use visuals and videos sparingly. Too many visuals can make the page appear cluttered and make it difficult for the most important copy and your CTA to stand out. Both images and videos can also increase page load speed, thus increasing the chance of users closing the page before it has finished loading. Eliminate all unnecessary navigation. There’s little reason to include your website’s full navigation menu on landing pages where the primary goal is to get visitors to take a specific action. Adding a full navigation menu increases the chances of them navigating to elsewhere on your website without completing the goal. Always have A/B tests running on all your landing pages. You should be continually testing every aspect of your landing pages, from the text used in your CTAs, to the colour of your CTA buttons, and even the layout and position of other elements. Make sure any forms used are optimised for mobile. If you need visitors to give you some personal information in return for being able to access a document, or sign up for a weekly email, make sure the form elements are optimised for mobile. That means only asking for the info you need – less is more is very applicable to mobile landing pages. Form fields should also stack one below the other on a mobile device, but also not be so close that users accidentally tap on the wrong field. Compared with how very different smartphones are to early mobile phones, text messaging for marketing purposes can seem like a lo-tech approach from another era. But just because the world is now very different to when the first marketing message was sent out via SMS doesn’t mean that SMS marketing is no longer effective. A 2017 study by Textlocal shows that most marketing text messages are read within three minutes of being received, and that 32 percent of recipients will respond to a promotional SMS. Businesses that work according to bookings and appointments should use text messaging to send out timely reminders. They could also have a second list of customers who want to be notified of last-minute openings (mostly the result of cancelled appointments). SMS marketing is great for time-based messages, since they are read almost immediately. Keep messages short. Most bulk SMS services do allow for multipart (or concatenated) text messages to be sent, but this should be avoided. Aside from the risk of the full message not being delivered to all recipients, multiple text messages in a short space of time can be seen as annoying. Try personalising messages by including the customer’s name, without forgetting to also include the name of your business. Sending out a discount offer is of no benefit if nobody knows where to use the offer. Leading on from that point is the need to segment your customer lists so that the right message is sent to the right customers. Customers are more likely to respond to a promotional offer if it is for a service or product they regular use or buy. There must be value in each message you send. There isn’t much value in sending out a reminder of your trading hours on a national holiday, but there is if you include a special offer valid only for that day. Ensure the message and instructions are clear: what is the offer, what must customers do, when is the offer valid, and where can they take advantage of the offer. Send them at the right time, but don’t forget to factor in time-zones if your audience is spread across the globe. Stick to business hours wherever possible, with 09h00 to 15h00 being the optimal times. Include information on how to opt-out. Much as you hate to lose subscribers, you have to include an option for your customers to opt-out of receiving text messages from you. Finally, don’t send text messages too frequently. 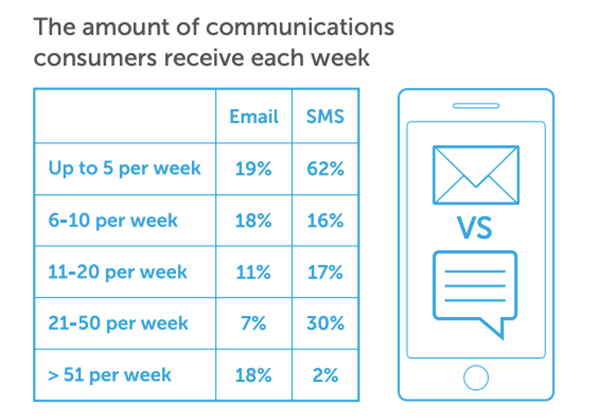 Up to five times a week is acceptable for most customers, but the more messages you send each week the higher the risk of a flood of customers opting out from receiving messages in future. Know your audience. We already covered this under “Creating a Mobile Marketing Strategy”, but it is worth repeating here. You need to know whether your audience would be interested in using a mobile app, and then what features they would want in the app. And even though it no longer makes much sense to launch an app exclusively for use on Android or iOS devices, it does still help to know which platform most of your audience uses. Globally Android leads with close to an 85 percent share of the market, with iOS sitting at just over 15 percent. But these figures can vary substantially at country level, with North America, the UK, Japan, Australia, and New Zealand all favouring iOS. 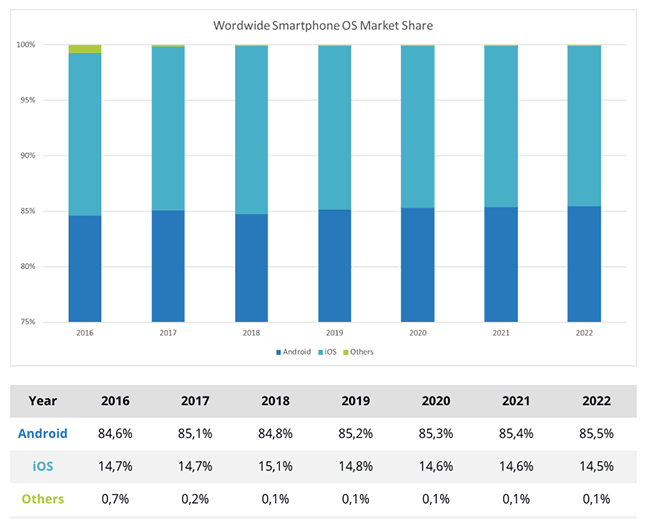 Other mobile operating systems now represent less than one percent of the market. You can get a better idea of what browsers and mobile operating systems your audience is using by looking at Google Analytics. Under Audience > Technology, select Browser & OS to bring up browser statistics for your visitors, which can be changed to OS by selecting Operating System as the primary dimension. Clicking on any browser or operating system will break the metrics down according to the browser or OS version. Under Mobile > Devices you can get an overview of the devices used by visitors when accessing your website. Be aware of what your competitors are doing. If any of your competitors – locally, nationally, and internationally – have a mobile app, install it and look at what features it includes, and how they use it for marketing. Compare it to what you offer and weigh up what missing features and marketing strategies you can implement in your own mobile app. It’s not about copying them, but about identifying missed opportunities and seeing how you can benefit from them, and even improve on them. Stay on top of mobile app best practices in terms of marketing the app and getting your customers to install it. This includes app store optimisation (ASO) techniques, app install campaigns run through online advertising platforms and on social media networks, along with the use of QR codes in your other marketing material that links to a unique landing page that highlights the features of the app, and allows users to go directly to the relevant app store to install the app. Adjust your KPIs outlined in “Creating a Mobile Marketing Strategy” to includes mobile app specific KPIs, and know how to measure them, analyse them, and react to them. Use an onboarding session to educate first-time users on how to use the app, introduce features, and to get their consent for push notifications. But make sure you clearly explain how you will use push notifications, which should also highlight what the benefit to users would be. Like SMS marketing, there must be value in push notifications, so they should be used for appointment reminders, and exclusive offers such as discounts, or early access to new products. Don’t ignore the value in using geolocation push notifications, which can be used to send out special one-time offers when a user is within a predefined radius of your business, or even when they are close to a competitor’s location. This approach isn’t without risk, but this can be minimised by ensuring the value or benefit to the user is significant. When it comes to mobile marketing and a mobile app, your strategy needs to consider both the reward to you and to your customers. You shouldn’t only focus on getting your customers to install your app; they also need a reason to open it and use it on a regular basis, and they aren’t going to do this unless it offers them more than what your website and physical location offer. 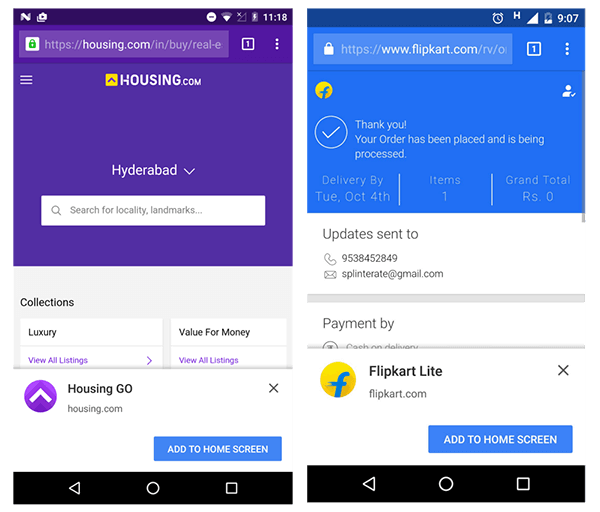 The concept of Progressive Web Apps (PWAs) was first introduced in 2015, but only started to gain traction and interest in the last two years. A PWA is a viable alternative to a native mobile app and is especially appealing to small businesses since it does away with the need to maintain both a website and a separate mobile app, with your website effectively becoming an app when viewed and used in supported mobile browsers. But the fact that not all mobile browsers support the underlying technology of PWAs should not be a deterrent, since the progressive in Progressive Web App means that your website still works in all modern browsers, but specific app-like features only become accessible in browsers that support them. Push notifications in PWAs is not yet supported by iOS. Unless the majority of your audience use Android, you will need to balance use of push notifications out with the use of text-based and/or email marketing to deliver important messages and promotional offers. Offline functionality is also still not yet supported by iOS but shouldn’t discourage businesses that offer access to an online catalogue or store from optimising these for offline storage. That way users who access your PWA via a supported browser will be able to browse your product assortment even when they are offline, without worrying about it taking up too much storage space or being too slow. Use support for splash screens and geo-location services to deliver special offers and location-based information. Finally, pay attention to new developments with PWA technology, and support for features so that you can make use of them, and adapt your mobile marketing strategy to include them. And as always, pay attention to what competitors and non-competitors are doing with PWAs to get ideas of how you can better use a PWA to benefit your business and your customers. It is impossible to cover all aspects of mobile marketing in the smartphone era in one article; the number of variables introduced by the industry, audience make up, and the resources available to each business mean that there is no single strategy all businesses can follow. Instead they need to ensure they are always aware of what mobile marketing platforms, strategies, best practices, and tools are available, and which of these would be of most benefit to them and to their audience. There is also no need to use every available platform or tool, only those that would ensure the biggest reach and engagement level among your unique audience, with only the use of a mobile-friendly or responsive website being essential for any business wanting to reach a connected audience.